Ballyvaughan is a small harbour village in in the northwest corner of The Burren region in County Clare. 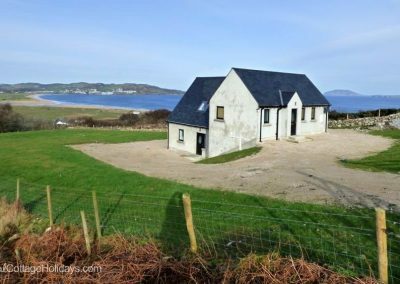 It is situated in one of the most idyllic places in Ireland, nestled between the hills of the Burren and the sea, on the southern shore of Galway Bay. Ballyvaughan is a thriving village with many pubs, restaurants, shops and other amenities including a modern pier and slipway which has opened up the area to boating, fishing, scuba diving and other sea activities. 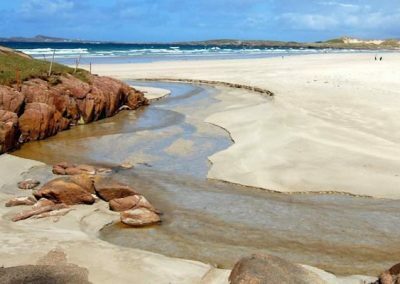 Beautiful unspoilt beaches at nearby Bishopsquarters and Fanore are popular for swimming, kayaking and surfing. The village is an ideal base to explore the magical Burren region of County Clare. Each year botanists and nature lovers roam this lunar style landscape in search of Alpine, Arctic and Mediterranean plants which grow in abundance over the limestone pavements. The Burren is internationally renowned for its archaeology. Ballyvaughan village is surrounded by megalithic tombs such as the 5,000 year old Poulnabrone Dolmen as well as celtic ring forts, medieval churches and castles. The signposted Burren Way walking route (26 miles of Green Road) starts in Ballyvaughan and goes to Fanore, Doolin and ends in Liscannor. There are numerous other walks in the locality, which are easily negotiable with the aid of a map, or better still, with a local guide. You can also enjoy miles of quiet country roads by bicycle. Bikes can be hired in the village.